With its clean and pristine beaches, crystal clear waters and tropical breezes, Lauderdale-By-The-Sea has become the go-to location for avid travelers who are looking for an exceptionally relaxed travel experience. Situated in the charming beach town of Lauderdale-By-The-Sea, Castle by the sea is just steps away from the beach and a walking distance to some of South Florida’s premiere shopping, fine dining, and nightlife. The rooms at Castle By The Sea come standard with flat-screen TVs, small refrigerators, microwaves, coffee pots and Wi-Fi in all areas. Suites feature separate living spaces and a fully equipped kitchenette . 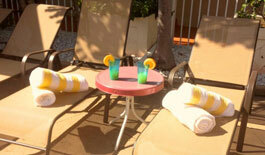 Perks include a new relaxing cabana and sitting area, outdoor pool, tiki-hut, barbeque and daily room service. Beach towels, chairs as well as umbrellas are provided to guests upon request. Jumping into a taxi is convenient. Taxi ride to Castle by the Sea would take about 28 mins. Broward County Transit (BCT). 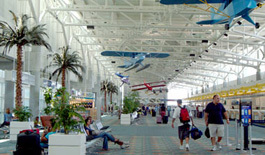 Safe, reliable, and efficient mass transit to and from the Airport is available through Route 1 of the Broward County Transit (BCT) buses. Your perfect getaway starts here. Book your stay and you’re already one step closer to your dream vacation! Made for TRAMS Management, by F10Tech | theme by ThemeFuse.